How Can I Do A Resume With The 4 Key Words? 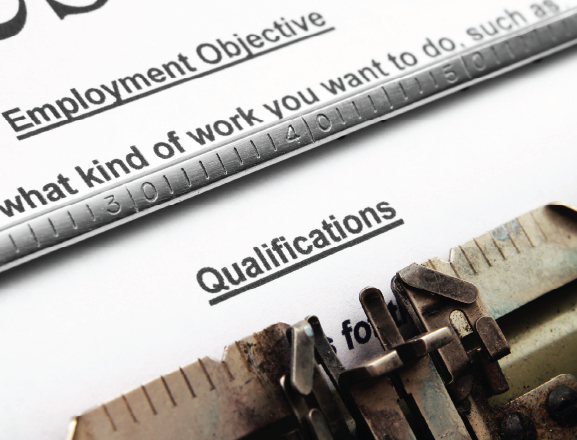 Writing a good resume is a big deal, especially with today's competitive job market. There are hundreds, maybe thousands of people looking to get the same job that you are, and it is important to stand out from the crowd. But how can you do a resume that gets a recruiters attention? By using the four key words that catch their eye. This little phrase is important in today's job market. Creating a resume with this word in it, will show that you understand how important cooperative work really is. It shows that you can get along with others and help achieve a harmonious workplace. And what employer doesn't want harmony in the workplace? Set up your resume to show how you can work in a team and help manage projects and outcomes. Don't forget to show results and figures, to get your message across. You are open to new things and ideas. Creating a resume with this word in it shows that you are able to juggle multiple tasks simultaneously. This word makes you valuable to any employer, because they know that can give you just about anything and you will produce quality results. Plus, adding this word to your resume will not only help you land a good job, but it will help you keep that job should layoffs occur. Showing that you pay attention to every last detail. Creating a resume with this word in it shows that you are able to handle a project from start to finish and won't leave any loose ends. It means being organized and meticulous in everything that you do. This word in your resume also shows that you are able to work independently, which is a major commodity in the work force. Self-Motivated - or being a self starter. Most businesses today like to see employees that are able to come up with their own ideas and follow through. Creating a resume with this word shows that you are able to take the initiative and get things done with limited or no supervision. This is turn frees up management to do others. Including the word self-motivated into your resume will also show that you often take on tasks that are above and beyond the call of duty - for your own personal growth and satisfaction. So in conclusion, keep it simple but don't forget to include some of the 4 key words into your next resume. You will be happy that you did!